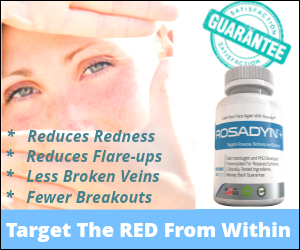 While there is no medical or natural cure for rosacea, you will be amazed at how natures bounty can help you in times of need and help you to minimize the annoying rosacea facial redness flair up, burning and itching sensations. Five popular DYI anti-redness treatments that have been used by others with rosacea. A word of caution before you run to the kitchen to mix up your own anti-redness facial treatment, we do recommend that you should always be cautious with any new product or home remedy that you may wish to try with your rosacea skin. Even though natural based products may seem harmless for some with hypersensitivities they may be agitating. Especially with rosacea skin types. So we suggest spot testing on your inner arm, cover with a bandage for 24 hrs to see if you have a reaction. Also, think about what has in the past triggered a flush for you, even foods. This will help you to see if you may have a reaction before going full boar on applying any of the below home anti-redness relievers. Calming, moisturizing and pampering your sensitive skin at home. 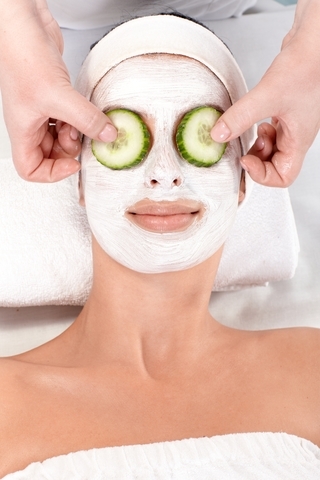 There are different ways that cucumbers can be applied to the skin to help with Rosacea symptoms. a. Place whole slices of chilled cucumbers and simply lay them over the affected areas of the eyes and cheeks for around 15 minutes to reduce swelling and redness. b. Mash up the cucumber into a paste like consistency (food processor/blender) chill and apply like a topical mask and rinse off with cool water. Facial mask to reduce redness try yogurt ( or sour cream) and honey(organic). Yogurt or sour cream work the same because they contain natural fats and proteins that will help relieve irritated skin and help reduction of redness and the enzymes in honey help to restore . Popular formula: Two tbsp of honey and one quarter of a cup of yogurt or sour cream. Mix to a creamy consistency, chill and apply to the face in thin layer, than layer again method due to thin consistency of the mix. Leave the mask on for about 20 minutes, after that you can just rinse it off with tepid water. Honey Facial Mask: Preferably use organic honey. Apply a small amount all over your face. Leave it on for about 15-25 minutes. a. )Add 1 tablespoon of either green tea or chamomile to your honey mask. b.) 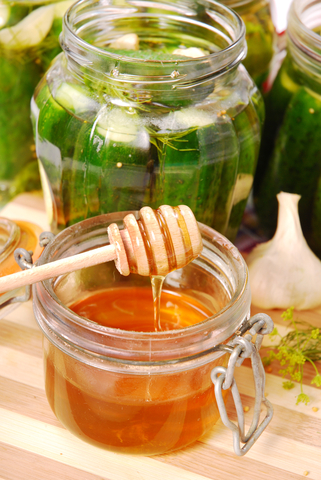 Add 1 teaspoon of pureed cucumber to your honey, mix well. Anti-Redness Chamomile ( or green tea) Compress. Chamomile is one of the best topical anti-inflammatory for rosacea skin. The most effective form for rosacea is Golden Chamomile (German Chamomile) due to it’s high levels of anti-inflammatory polyphenols. A gentle compress with chilled chamomile and/or green tea may help to reduce the inflammation and redness associated with rosacea. [space height=”5″]How to make a redness reducing compress for your skin: Steep several chamomile tea bags in a quart of hot water. Cool the resulting mixture in the refrigerator. When you begin to feel a flare-up, dampen a soft cloth in this mixture and apply it to your face (like a compress) for 15 to 20 minutes. Step 1: Grind your oatmeal( organic and not expired) into a fine powder. Food processor or blender works great. a.) Honey, is a natural antibacterial and helps draw impurities from the skin but also acts to help draw moisture to the skin. b.) Milk, in this case you want full fat milk – lactic acid can help to gently exfoliate your skin. c.) Bananas nourishing, and moisturizing also is a mild nonabrasive exfoliation and side benefit helps to tighten the skin. Mix, 3 tablespoons of your ground oatmeal – 2 teaspoons of honey – 2 tablespoons of your whole fat milk ( it should be a paste consistency) apply to the face and relax for about 15 minutes. Rinse with tepid water and pat dry. Have you tried any at home facial redness relievers that were effective at calming your inflamed rosacea skin?